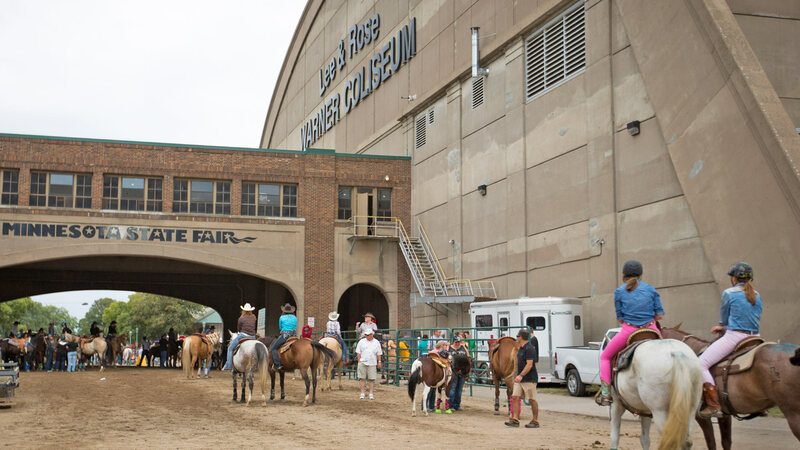 The Minnesota State Fair boasts one of the largest livestock exhibitions in the Upper Midwest, which means the action never stops at the 5,000-seat Warner Coliseum. From majestic to agile to graceful to heart-pounding, see judged and timed events featuring draft horses, sheepherding dogs, beef and dairy cattle, bull riding, horse jumping, barrel racing, English horse riding and much more. Dozens of vendors selling a wide variety of merchandise – including the best in western wear – fill the concourse.